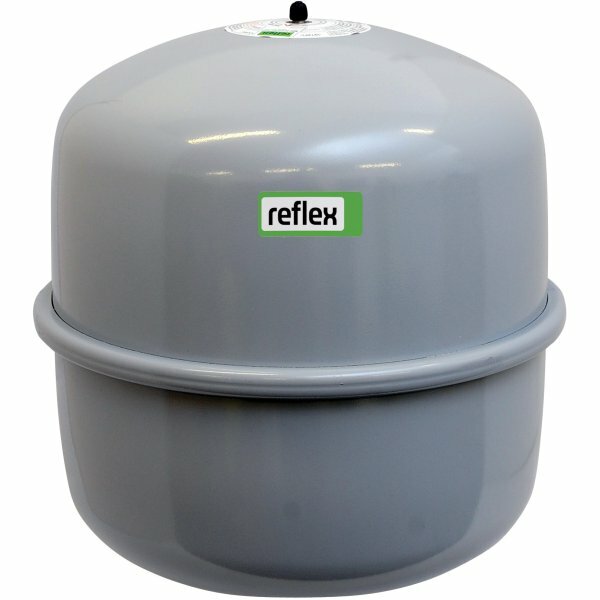 In a closed heating system water cannot be compressed so any increase in volume, created by an increase in temperature, has to be accommodated by an expansion vessel. When water is cold, the pre-charge pressure forces the diaphragm against the tank towards the inlet. As the temperature increases, the expanded water volume pushes against the diaphragm creating additional volume for the water to enter. When the temperature decreases, the pre-charge pressure forces the water from the tank and back into the main heating system. This maintains a constant pressure within the heating system helping to reduce energy consumption.